After a successful eight-year run on the London stage, Tallulah was lured to Hollywood with a lucrative film contract. She accepted because she needed the money and owed back taxes in England. Paramount itself was in financial woes and was desperate for stars. They wanted their own Dietrich and Garbo and they heavily publicized Tallulah as being just that. The film, shot on Long Island and in parts of New York City, was directed by George Cukor. This was his fourth film and he had not yet earned his great reputation. Tallulah found him easy to work and Cukor was genuinely concerned with his actors and their well being. 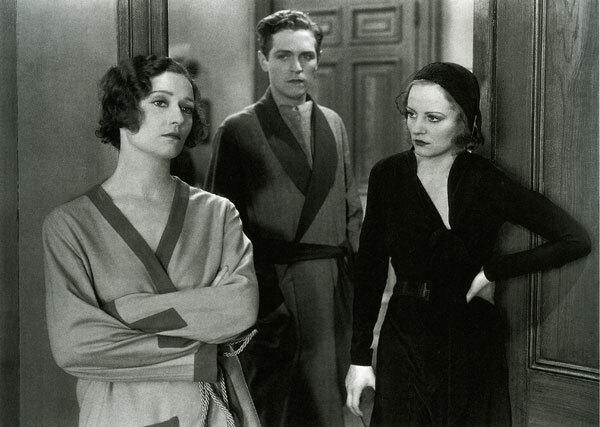 They only clashed once - Tallulah refused to wear a dress that she thought was too ugly - but Cukor insisted and he ended up with the upper hand. Tallulah admired this (she always had respect for those who stood up to her tantrums) and they remained lifelong friends. Tallulah left Cukor a portrait of her by Ambroce McEvoy in her will. Alas, the film was not successful. Cukor later said that Tallulah just did not light up the screen - "she was never at home on the screen as she was on the stage...she was a gifted actress, and on the stage she was enormously animated, but she never developed a comparable screen presence." Cukor's assessments were true to a certain extent, but other factors were also to blame. Tallulah's beauty on the screen could be erratic - at times, she looks like Dietrich and her amazing bone structure could be advantageous when photographed properly (we get a glimpse of this in Devil and the Deep, but again it is inconsistent). Many reviews of Tarnished Lady mention its bad photography. The main problem with Tarnished Lady, and all of Tallulah's Paramount films, was poor material. The story is lackluster and deathly melodramatic (her character marries a rich man instead of the younger man she truly loves, but later she realizes that she loves her husband after all). 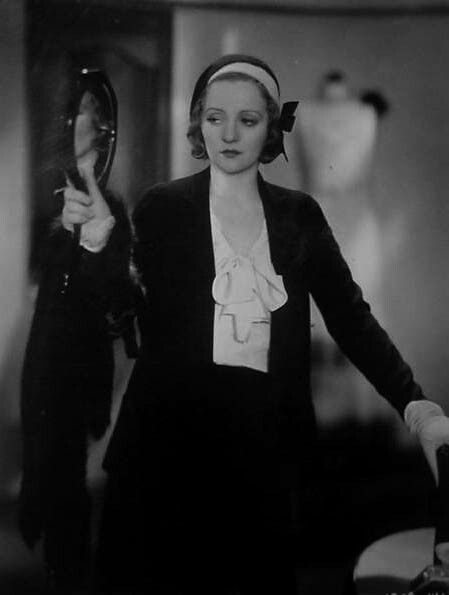 Tallulah's character, unhappy throughout the entire film, wasn't worthy of her distinctive personality. Only Alfred Hitchcock knew exactly how to use Tallulah Bankhead in a film, but that would be fifteen years down the road.